The Federal Employers Liability Act, or FELA, is a piece of legislation that helps federal employees to recover compensation for an injury that was suffered on the job. So in cases where a railroad worker is injured on the job, they do not typically file a workers’ compensation claim; instead, they file a FELA claim, which is a separate system designed to assist injured railroad workers much in the way that workers’ comp helps other injured workers. This is just one of the many case types that our Chicago truck accident lawyers handle on behalf of clients like you. The railroads pose many dangers for injury, particularly serious injuries, or even death due to the involvement of such large pieces of machinery. While a FELA claim can help railroad workers recover damages when they are injured in a workplace accident, it’s important to note that this system does require you, as a worker, to clear more hurdles than you would need to confront if you were filing a workers’ compensation claim. For this reason, it’s vital that you trust your case to one of the region’s most experienced law firms. At Phillips Law Offices, our legal team is here to help guide you through the process of filing a railroad injury case and working through the often complex FELA claims process. If you’re an injured railroad worker who’s seeking to file a claim through FELA, we invite you to contact an experienced employer liability attorney with Phillips Law Offices. Our attorneys will help you to file a claim for help filing a railroad injury claim following a workplace accident. We will work hard to prove that your employer was negligent in a manner that ultimately resulted in your injuries. Railroad Workers FAQ: What is FELA and How Does it Work? The Federal Employers Liability Act (FELA) offers compensation to injured railroad workers. FELA was established around the turn of the century, as this was an era that saw significant growth of the railroad industry. From the timeframe between 1889 and 1920, the United States saw six-fold growth in the nation’s railroads, which led to greater awareness of the many dangers facing railroad workers. As a result, FELA was enacted in 1906, but the U.S. Supreme Court initially declared the law to be unconstitutional. It was ultimately reworked and passed in 1908, providing railroad employees with benefits that are similar to those offered through workers’ compensation. To recover compensation through a FELA claim, you must prove that your employer was negligent and that his negligence was the cause of your injuries. Under FELA, railroad employees do not get a pre-determined sum as you would receive with workers’ compensation (which typically pays a set percentage of your salary, in addition to covering certain medical and rehabilitation costs.) Instead, FELA allows workers to file a railroad injury lawsuit, and a jury can issue an award for losses, including pain and suffering. Notably, railroad employees are entitled to full compensation. FELA payouts typically result in a greater sum than one might see with workers’ compensation benefits, which only cover a portion of losses. What Are the Different Types of Railroad Negligence? When filing FELA claims, attorneys must prove that A) an on-the-job injury occurred; B) the railroad was negligent in some way; and C) that negligence is in some way related to the worker’s injury. Partial fault can serve as sufficient grounds for a claim to proceed. There are several ways that a railroad operator or company may be found negligent in causing your injuries. Typically, there must be some element of negligence present in your case in order for your FELA lawyer to successfully recover compensation for your losses. For instance, the company may fail to provide appropriate workplace safety training for all of its employees. Alternatively, the railroad may not provide the appropriate protective devices and tools that a worker needs to be safe. If a supervisor or another railway company employee acts in a negligent manner, the company could be found liable. It’s important to investigate your accident and identify railroad operator liability before filing a claim. This is where an experienced Chicago employment liability attorney can be helpful, as we work with experienced investigators and experts who can offer useful insight and expert witness testimony in your case. What Compensation Can Be Secured on My Behalf? losses arising from permanent disability. FELA settlement amounts and jury awards vary depending upon the nature and severity of your injuries and your ability to recover from your injuries. You don’t have to suffer a sudden, traumatic injury in order to be eligible for a FELA claim. Toxin exposure and repetitive stress injuries suffered over a period of time, such as back strain, are valid FELA claims. FELA settlements can help you rebuild your life following workplace injuries. If you have suffered injuries in a railroad accident, lawyers with Phillips Law Offices are here to help. We understand how devastating these types of injuries can be and the situation can be compounded when these work injuries are caused by the negligence of your employer. It’s important to begin the process of filing a claim immediately, as this maximizes your chances of seeing a positive resolution to your case. The longer you wait, the more challenging it becomes to resolve your railroad injury case in a favorable manner, as witness memories can fade, evidence can disappear, and so on. 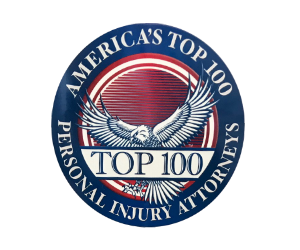 Our law firm is regarded as one of the most well-respected in the Midwest. To identify the acts of negligence that caused the accident, discuss your claim with a Chicago employment liability attorney today. For assistance filing a claim or to find out if you have a viable claim, call 312-346-4262 and speak with a FELA attorney at the Phillips Law Offices to arrange a free consultation.